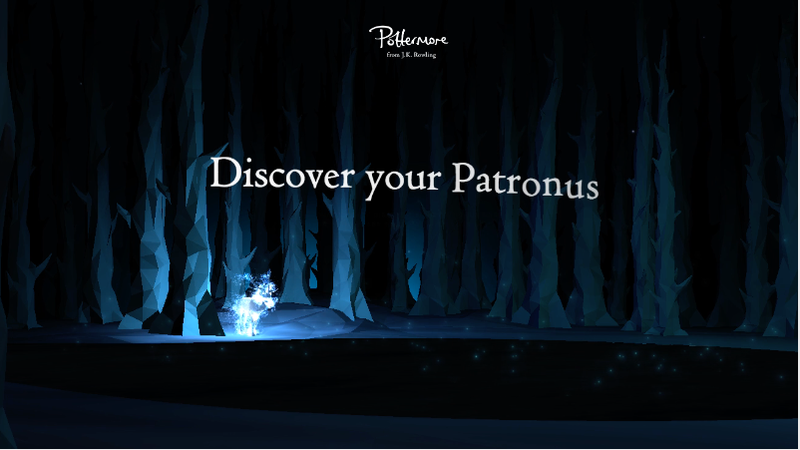 The latest feature on Pottermore, the ever-expanding home of Harry Potter content, is a quiz designed by J.K. Rowling to tell you what your Patronus is. In case you’d forgotten, a Patronus is a spell conjured by a happy memory and the incantation “Expecto patronum!” The Patronus takes the form of a silvery animal that protects against the soul-crushing depression caused by exposure to Dementors. The test on Pottermore, like all Pottermore quizzes, is multiple choice. Only instead of answering a question, two or three words pop up and you have a short time to click one instinctively. No thoughts needed or wanted. I got a blackbird and some mild motion sickness. Take it for yourself here.